My little library of activity books kept us busy. But when it came to Lent I was never satisfied. 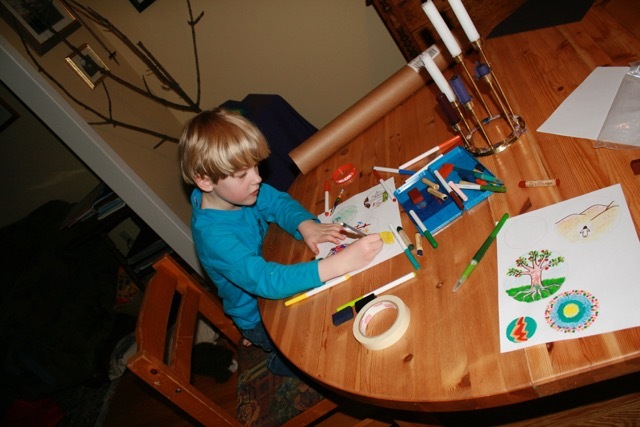 The kids and I ironed grated crayon on to waxed paper to make stained glass crosses; we made purple paper chains, and hot crossed buns; we even blended and burned our own incense. But something was missing. Although we had plenty of things to make and do, we lacked a framework—something to hold the pieces together in a meaningful pattern. Similarly, my collection of picture books depicting the events of Holy Week were so focused on the death of Jesus, his life and teaching seemed almost inconsequential. We were missing the Big Picture—a narrative which held together the life, death, and resurrection of Jesus as an integrated whole, and which invited children to become part of that story. Being a writer as well as a mother, I decided to see what I could come up with. 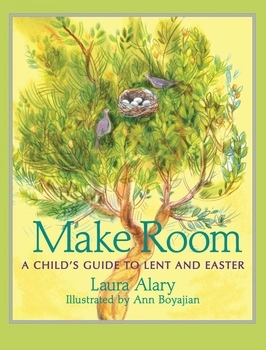 The result was Make Room: A Child’s Guide to Lent and Easter. The book interweaves episodes from the life and ministry of Jesus, and reflections on Lenten practices from the point of a view of a child. 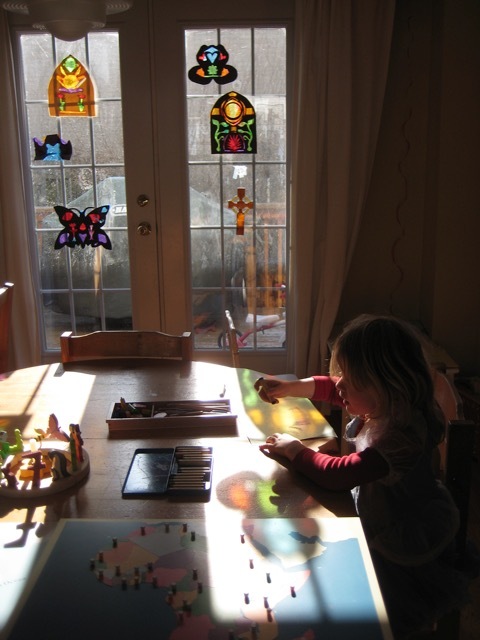 These practices are simple: cleaning our rooms; eating plain meals like bread and soup; giving up snacks and using the money saved to help someone in need; inviting a neighbor for supper; turning off technology for a while and making silence; drawing and painting our prayers. They are all variations on the traditional Lenten disciplines of prayer, fasting, and almsgiving, and they all center around the theme of emptying out and making space. What makes them meaningful, though, is that they are all rooted in the story of Jesus, so children can see that these practices are not ends in themselves, but part of the big picture of what God is doing in the world—through Jesus, and through those who follow him. Just received the book in the mail today from Amazon and LOVE it! Thank you so much for taking the time to create this book and share it with the church and its families. Thank you so much for this book! Our church ordered copies for each of our families with children to give them during Lent.